The Absinthe Museum is located in Mortiers between Couvet and Fleurier in Switzerland. In the Val de Travers there are 5 active absinthe distilleries one of which is the home of F.Bezencon absinthe museum. F.Bezencon has collected the absinthe historical items for over 40 year but the absinthe museum was established in 2005 as part of his distillery. The absinthe museum contains a trully unique collection which can not be seen anywhere in the world. Although the building in which the absinthe museum is situated reminds us of an old warehouse, the museum of absinthe is well worth visiting. 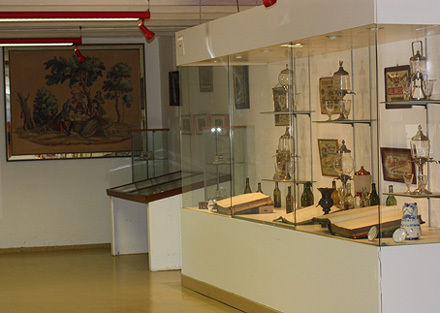 It consists of several rooms dedicated to different historical items. The entrance serves as a visiting room filled with tables and chairs for absinthe tasting purposes which is followed by the room in which the F.Bezencon absinthe distillery is placed together with a glass cabinet with original absinthe fountains, glasses, accountancy books of famous absinthe distilleries. The walls are decorated with authentic posters including the large Terminus poster. 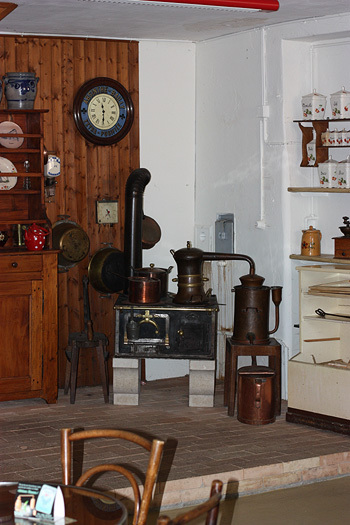 The other room is the place to show how absinthe was stored from the eyes of the officials during the ban in the Val de Travers with the local absinthe stills in which bootleg absinthe was made. There is also a vintage absinthe cork machine. 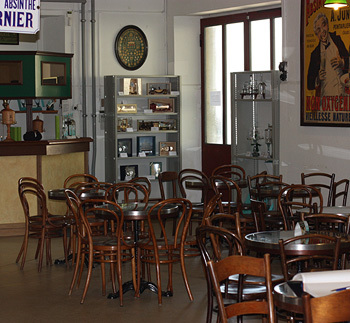 The absinthe museum is opened upon request to visitors from around the world as well as the distillery where you can taste and buy absinthe made by F.Bezencon. Contact us to organize a Tailor Made Tour to the Val de Travers. is the birth place of absinthe where the story of ”The Green Fairy” began in the late 19th Century. Daniel-Henri Dubied bought to the Henriod mother the rights to produce its absinthe elixir. The production of absinthe (plant cultivation, drying, and distillation)largely contributed to the region’s economic growth. In 1908 Swiss Government Act banned the production and absinthe was forced undeground. Tens of local clandestine distillers kept it alive throughout the 20th Century.